The contemporary shape of the Castle at Průhonice is a result of numerous reconstructions of the small medieval Gothic castle. It is built on a rocky promontory above the stream Botič, close to the Romanesque manor in which only the Romanesque Chapel of the Nativity of the Virgin Mary is still-standing. The first written report on Průhonice owners dates back to the 1270s. 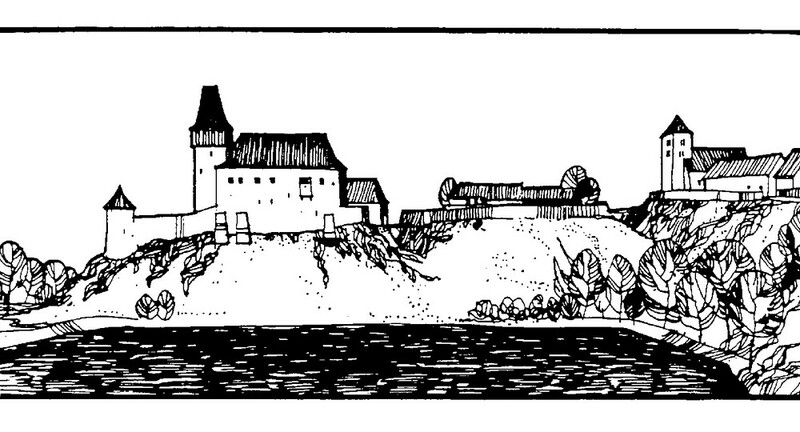 The owners were Zdislav of Průhonice, later Bohuslav of Průhonice, lords of Říčany (up to 1390s) and Prague’s burgesses. In the beginning of the 15th century the squire of Dubeč became the new owner of the castle. In those days it was probably a fortress but we do not know what it looked like. 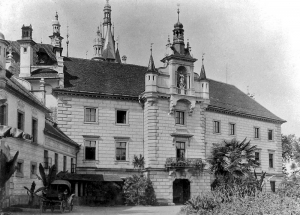 The Zapský family owned the castle in the second half of the 16th century and their reconstruction was based in Renaissance style. The original gothic walls gave the birth to the typical Renaissance residence with four wings and a central courtyard. From the beginning of the 17th century it was a home to the privy councillor of the Roman Emperor Rudolf II., Andreas Hannewald from Eckendorf. In this period a brewery, gardens, an orchard, as well as a prosperous village with a smithy belonged to the castle. During the Thirty Years’ War Průhonice estate was devastated. It was rebuilt by the Roman Emperor Counsel and knight Antonio Binago and his son Augustin. They owned it in the years 1636-1656. 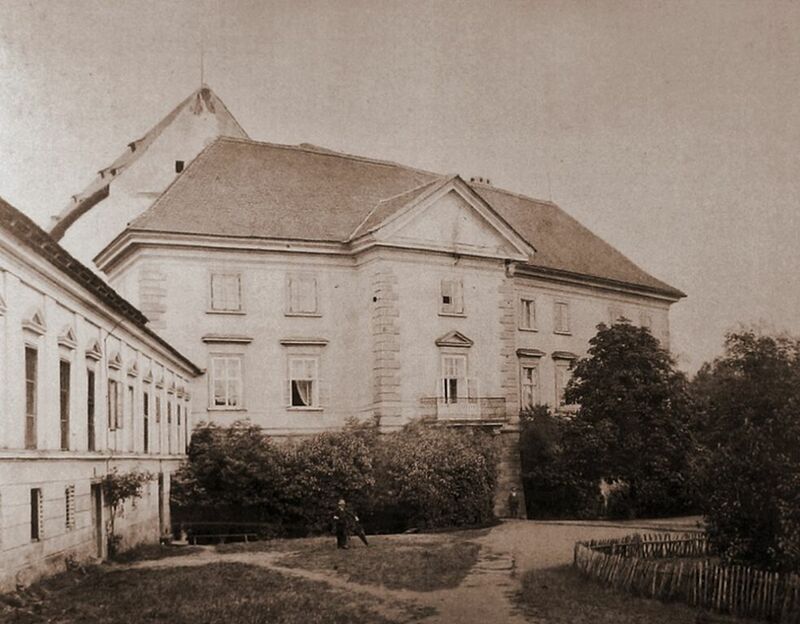 Then it was owned by Jesuits who lived in Průhonice from 1669-1685. 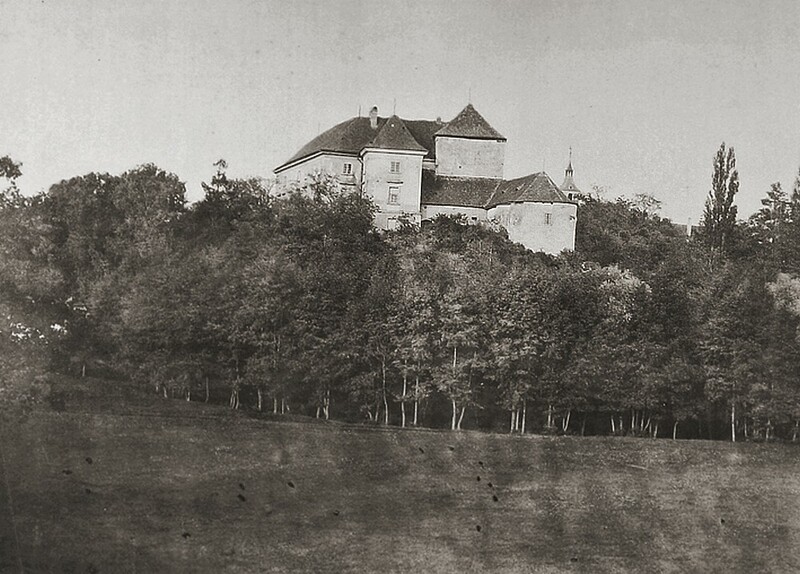 In the 18th century the castle was mostly owned by the Desfours family. They reconstructed it after the war during the years 1742 and 1744. They established ornamental gardens with an orangery and a rich orchard. Towards the end of the 18th century Průhonice as a mansion was deserted. 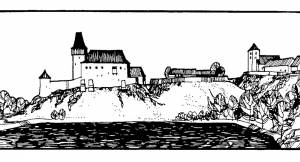 The castle was used mainly as a farmstead. 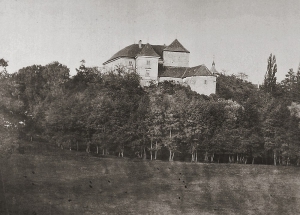 In 1800 Count Jan Nepomuk Nostic-Rieneck bought the Průhonice estate and reconstructed the castle in Classicist style in order to restore its residential use. 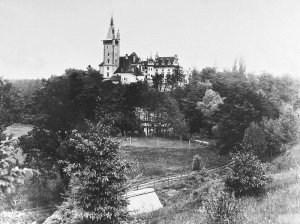 The family owned the castle throughout the 19th century. When Jan Nepomuk died in 1840, his son Albert and after him his daughter Marie Antonie Gabriela became the only heir of the manor. The new epic in the history of Průhonice started after she married the Count Arnošt Emanuel Silva-Tarouca in the year 1885. On 16 June 1885 the Count Arnošt Emanuel Silva-Tarouca and the Countess Marie Antonie Gabriela Nostic-Rieneck got married in Prague’s Smíchov. Arnošt Emanuel found a new settlement in Průhonice and also saw a landscape destined for setting up a vast park. 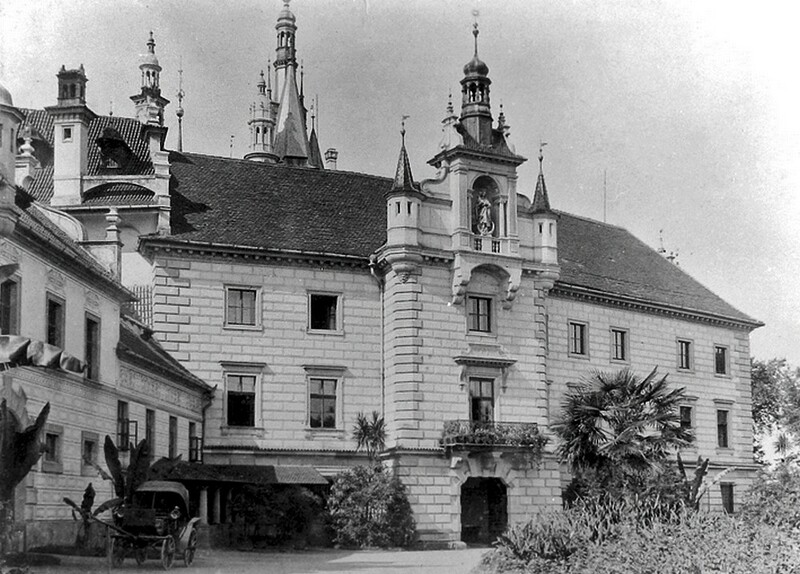 He entrusted the reconstruction of the modest Průhonice Castle into a residence in the “Czech New Renaissance” style to the 26-year-old architect Jiří Stibral. Jiří Stibral was only a half year older than Arnošt Emanuel. The castle at that time had four wings with a central courtyard. It was more like a fortress. The last reconstruction in the Classist style gave it a modest appearance with a plain silhouette. This was not what Arnošt Emanuel had in mind. Jiří Stibral had to face the task of remodelling the plain building into an architectonic dominant of the park. The reconstruction took place in the years 1889-1893. Because of economical problems the Count Arnošt Emanuel Silva-Tarouca sold the park and the Castle in 1927 to the Czech State. Today the Castle is closed to public. The Institute of Botany of the ASCR, v.v.i. is housed in here. The Institute does fundamental research on vegetation and plants. In the part of the Western Wing with the entrance from the Inner Courtyard there is a permanent exhibition called “The Castle at Průhonice and its park – a masterpiece of both nature and the human spirit” dedicated to the founder of the Průhonice park, Count Arnošt Emanuel Silva-Tarouca. Information about the history of the Průhonice domain, the Portuguese family Silva-Tarouca and their activities in Bohemia, as well as information about the reconstruction of the castle and its creators and mainly about the foundation of the park are the part of the exhibition. There are materials that refer to the period of the park’s creation. The main ideas of its creator and the foundation of the Dendrological Society – another important moment in the field of dendrology.